Welcome back! i trust everyone had a fun Trip to Tripoli last week... i know i did! I also want to say a very happy Fourth of July to my Yankee friends as they celebrate their Independence today! And a very big "Take Off, Eh?" to my fellow Canucks up here! We celebrated our National Holiday last Friday on July first - Canada Day; commemorating the coming together of the British North American colonies of Nova Scotia, New Brunswick, and the Province of Canada (which was on its way to becoming Ontario and Quebec). Otherwise more commonly called Canada's birthday. There wasn't much in the way of festivities at Casa Diva - unless you count B-rad being home from work a cause for celebration (and i do). We pretty much just chilled for most of the day, having gone to some friends the night before for a Canada Day-Eve BBQ. It was nice to get out of the house and HANG OUT with friends! it felt...almost...normal.... if you can believe that. Myself and Little E - smiling! Happy Day Before Canada Day! Chewie and his Friend Little E had a great time playing with water guns and cherry bombs (with adult supervision, of course). The rest of the weekend has been spent going for family walks to the spray park by the river, and to the slurpee store... Chewie practicing riding his tricycle... sidewalk chalk.... painting pine cones... it's been a good weekend. Now it's Monday and it's challenge time - but i've been so very fortunate to have a few guests lined up for the month of July! Today's guest challenger is Sue Jacobs! I saw this posted on her blog and emailed her right away and said: "Do you think this post wants to be a weekly challenge when it grows up?" Luckily for us, it did!! So - everyone! Let's give a warm Diva welcome to the lovely and talented Sue Jacobs, CZT. 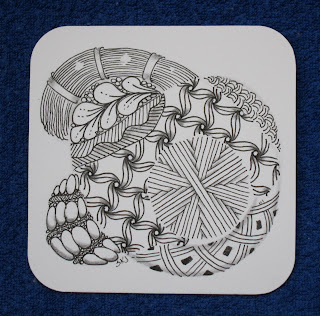 Weekly Challenge #29: "String Theory v. IV: Creative Genesis"
Strings in zentangles can be frustrating. I tend to draw the same string over and over. So the string theory challenges from the Diva have been enlightening. But creating new ones yourself is the challenge. And the zentangle philosophy is "unexpected results" and "unknown outcomes". So I think I came up with a way that I can't believe I haven't seen before. Find a string around the house. Find a weight that has a hole in it. 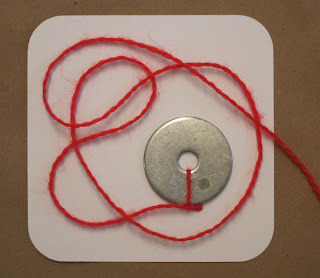 Tie your string to the weight. 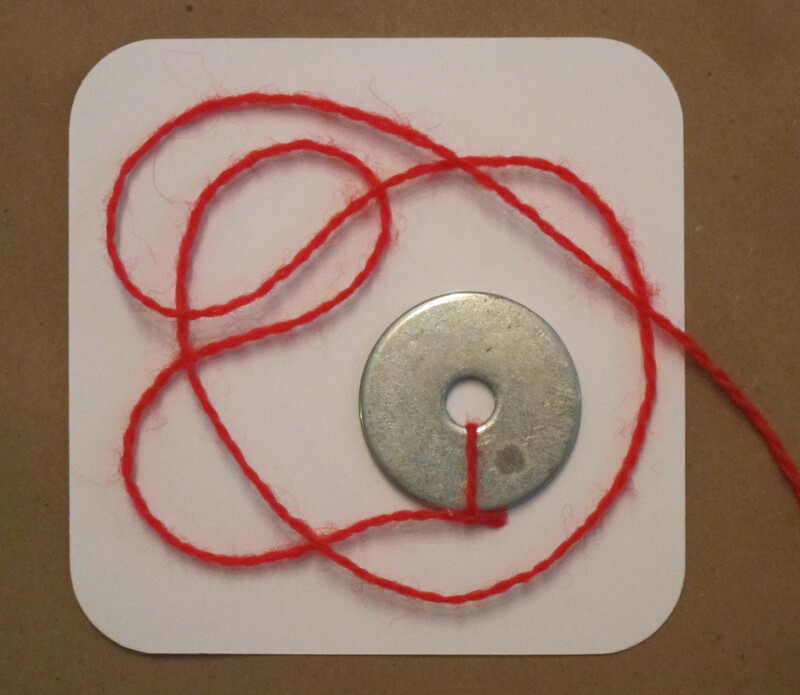 Set the weight on your tile and let the string slowly drop down onto your tile. Do this until you have a string that you find pleasing. Take a picture or get out your pencil and start drawing. TA-DA! Your own string! You can incorporate the shape of your weight into your string design or not. Your choice. 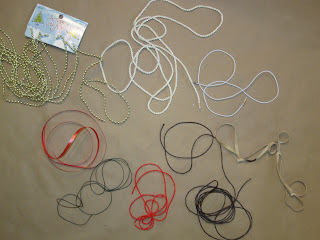 Now, the string can be a variety of things; cord, yarn, thread, ribbon, beads, etc. And the weight can be a variety of things too. 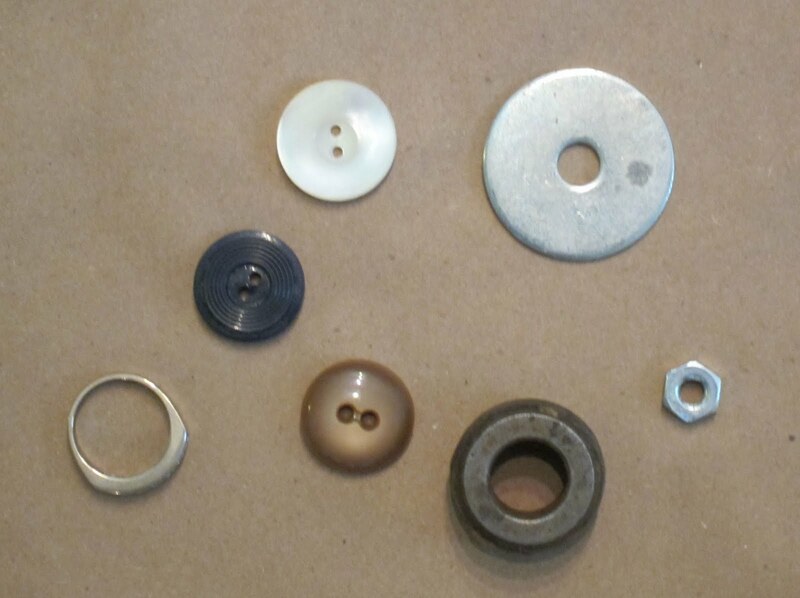 A washer, a heavy button, a nut from a bolt, a ring (wedding or otherwise), a fishing weight, etc. You don't have to go out and buy something. There will be something, somewhere, laying around the house. Then you can get creative. Try thicker ribbons and twisting them, try rubber bands knotted together, I'm sure you can come up with additional ideas. Also check out Lois Stokes' site on strings http://www.squidoo.com/oracles. Sue Jacobs became a CZT in February. She teaches in The Chicago suburbs. Her blog at http://suejacobs.blogspot.com is the place for class information. What a cool ideas, Sue! Thanks. Looking forward to having fun with this. Happy 4th everybody. Cute family pictures. I'm planning on attending a yearly party at a mutual friend's place later on today. This challenge sounds like it's going to be fun. I have plenty of "junk" to use at my fingertips. I just stoked up the fire for a cosy night in, there's a real chill in the air here in Tassie. Thanks Sue for the super idea. Thank you for this weeks challenge - fun! Who would have thought finding a string could be so much fun! That was alot of fun! I used a dog tag and chain I had lying around.. I think I may reuse this idea alot! Thanks! I enjoyed this tangle. Thanks for the challenge. Thanks for the great idea Sue. And Diva, looks like a wonderful family holiday. 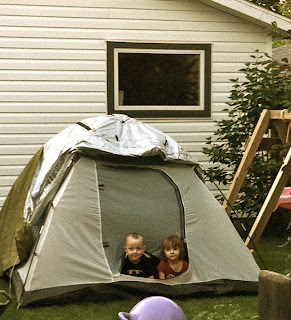 Life is sweet with little ones around and that sunset is breathtaking. Fun challenge! Thanks Sue & Laura! That was indeed a lot of fun. In fact, I think I'll have to give it another go! Many thanks to Laura and Sue for the challenge! Shoot! I forgot to photo the string before I tangled it, may have to do another one. A string for a string! Hooray! That was really fun and my little cord went right into the shape of a heart. Thank you, Sue, for a really interesting new approach to making strings. Oh the pictures one can find in a simple loop of string. Interesting challenge ... and I actually finished this one in time too!! This was a fun challenge--it was great to see the string in a different way. I just posted my Weekly Challenge in. It was fun collecting objects to use for the string. This was fun and just what I needed. Have been too busy to post a tangle of late but still looking at everyones awesome work. Great challenge! I loved this new way of creating strings. A fun challenge for a busy week! Thanks. Thanks, Sue! Love to Laura, Artoo, and Family. I did have fun with this, even if it brought out a peek of my "wild side"